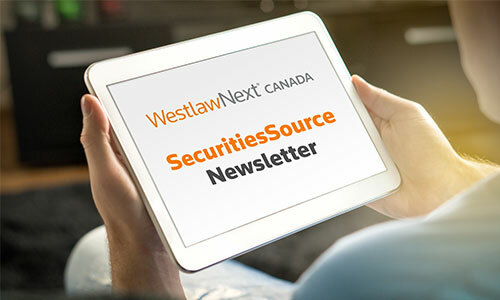 Matrimonial Claim Brought Under Guise of Estate Claim The Estate of Lois Jean Davey v.
Canadian Securities Administrators (CSA) provide further guidance on the applicability of securities laws to token offerings . . . but is it enough? A revocable beneficiary designation is one that can be altered or revoked by the insured without the beneficiary’s knowledge or consent (s. 190(1) and (2) [Part V of the Insurance Act [R.S.O. 1990, c. I.8]]) . Bank only acted through agents, so when agent failed to read or understand term in proposal that was bank's failure — When agency was out of touch with lawyer it was result of banks failure to coordinate its agents or act through single agent to enforce related liabilities — It would be unjust to annul proposal allowed by bank on ground that bank now understood what it voted for. 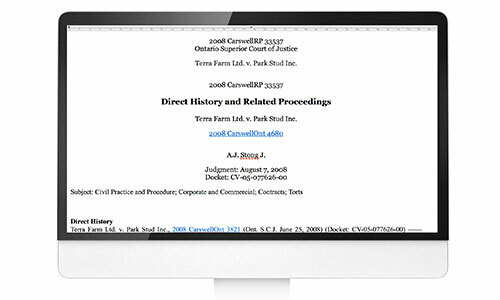 As of April 20th, Keycite Canada on WestlawNext Canada will include relationships to cases that are not part of the direct appellate history. The Ontario Court of Appeal allowed an appeal by the defendant estate trustees from a judgment concerning expenses for a residence that was subject to a cohabitation agreement. Plaintiff and deceased had cohabitation agreement that provided the plaintiff with option of remaining in residence. On appeal, it was held that given that plaintiff was not paying all of costs of maintaining residence, defendants could reasonably take position that she had not complied with agreement and that residence should be sold.